How to do OFFLine Installation in Linux Ubuntu? There few methods available that you can find in the Internet but the method that I like to share it’s bit different. May be, it will suitable for you. What is the benefit of OFFLINE installation? You don’t have to connect to the Internet when you install new application and you can distribute it easily. In this tutorial, I use Ubuntu 14.04. This command will clean all .deb file in folder /var/cache/apt/archives. Clean the folder is important otherwise it will mixed up with the previous download application files. For folder /var/cache/apt/archives/partial is only temporary place before files moved to archieves, so it will automatically cleaned. Connect to the Internet and update your package list because sometimes your application it’s not the list yet. I like to watch my movie collections more than one time. Or sometimes I like to watch certain scenes in few movies. The problem is sometimes my DVD disc is scratched and I have to buy it again. So, I decide to convert all my DVD to ISO file, so I can watch anytime, any selection scenes, easier and without worry have the same problem again. If my DVD disc is broken and I want to play it using my DVD player, I still can burn it. Yes, you may say the file size will be too big, 3.3GB to 4.4GB per movie, meanwhile you can convert it and get smaller file size. But, you will get lower quality graphic, you can’t choose the language and you can’t burn it again. It will consume a lot of hard disc space but with 1 TB or 2TB hard disc capacity available at the market, you can back up any movie that you want. I choose ‘Brasero‘ because it’s very easy to use. Open your ‘Brasero’ application. If you don’t have it you can install it using ‘$sudo apt-get install brasero‘ in your Linux terminal with Internet connection. Enter your DVD disc, wait until it occur on your desktop then click ‘Disc copy’ button. Then select to ‘write to image file‘. Do you want to play the old DOS games or applications? I do and I believe that there are still lots of ex DOS users want to run their old applications. It was my first opereting system and I think I used it at about 25 years ago if I’m not mistaken. I like to remember what I did before especially if I have good memories with it. Playing Digger, Test drive or Lemmings, typing with wordstar, database with Dbase III+, spreadsheet with Lotus 123 or Impress and some utility tools like PCTools or Locksmith. Put in the big floppy disc for booting and replaced it with another floppy disc with the program. Hard disc was very rare on that time. But, I tell you, you were very lucky if you have a PC on that time. 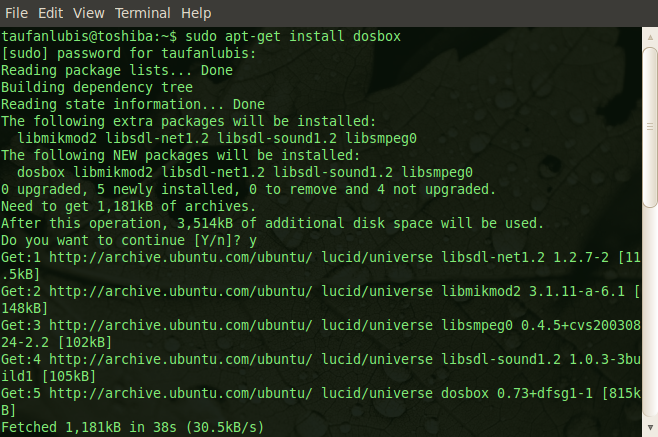 Open your linux terminal and type: sudo apt-get install dosbox. 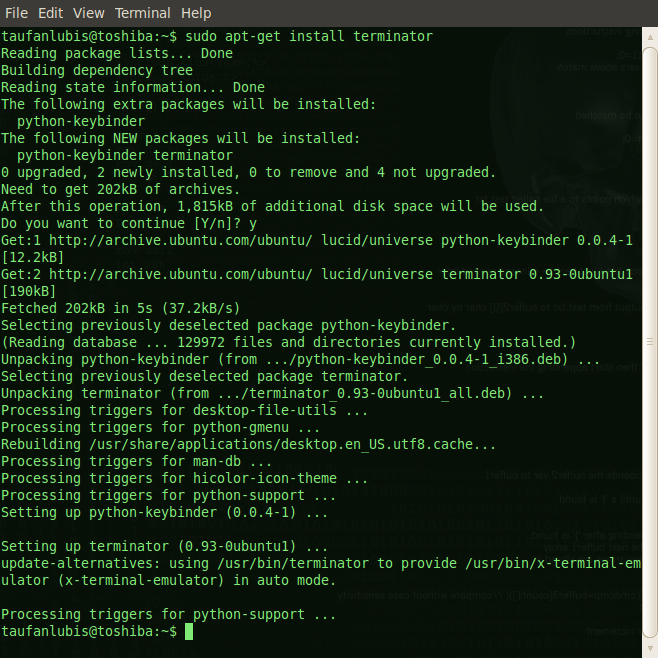 If you always or like to work with linux terminal, I really recommend you to use Terminator. Your linux terminals will be more flexible. You can add, resize or create terminals in new window in seconds with few combination keys. Installing terminator is very easy. Just open your linux terminal, make sure you are connected to the internet and type: sudo apt-get install terminator. 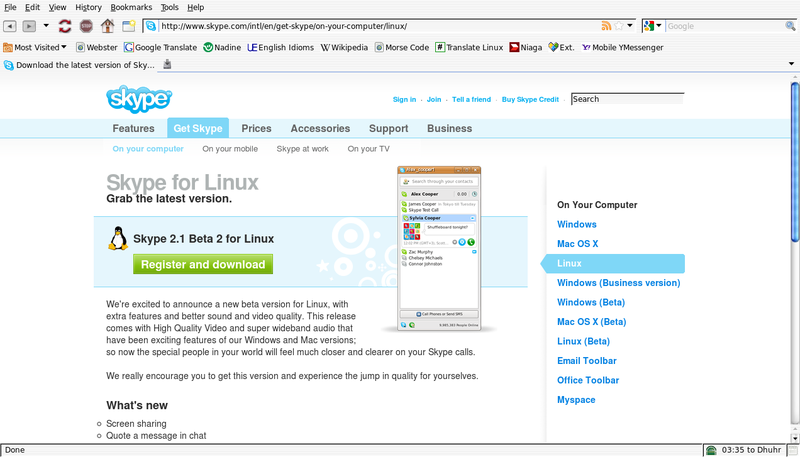 How to install Skype in Ubuntu Karmic? Skype for Ubuntu Karmic is still not available when I write this article but you still can use Skype 2.1 Beta 2 for Linux for (Ubuntu 8.10/ intrepid) installer to run skype in your Karmic. First download the skype installer. How to extract file from ‘rar’ archives in Ubuntu Karmic? RAR (Roshal Archive) is one of well known archive file format available in compress technology. It’s developed by Eugene Roshal (Russian Software Engineer). Free version which only can read (extract) in Linux are PeaZip and unrar. 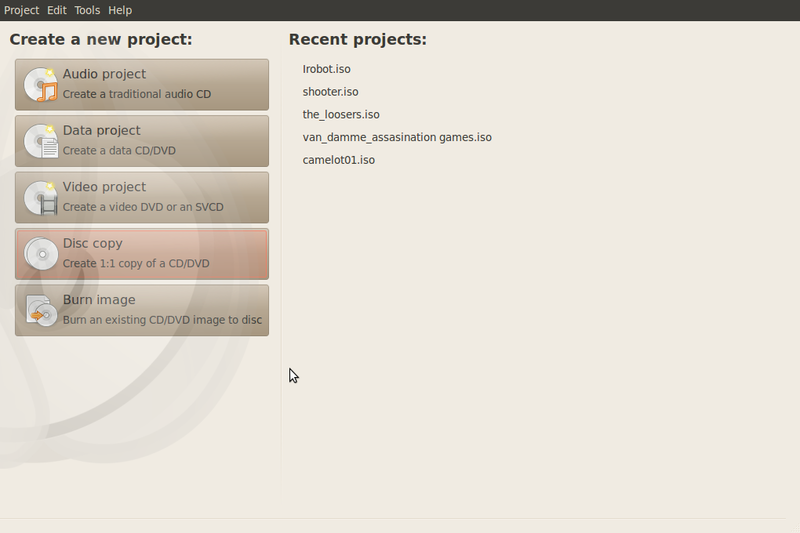 The shareware version also available in Linux. Although RARLAB distribute the source code and binaries (not under free software license), it’s only can extract not create the RAR archive. I think that’s the reason why ‘rar’ is not popular in Linux community. To extract ‘rar’ file in Linux Ubuntu you need additional program. Before you follow the instruction below, make sure you are connected to the internet. 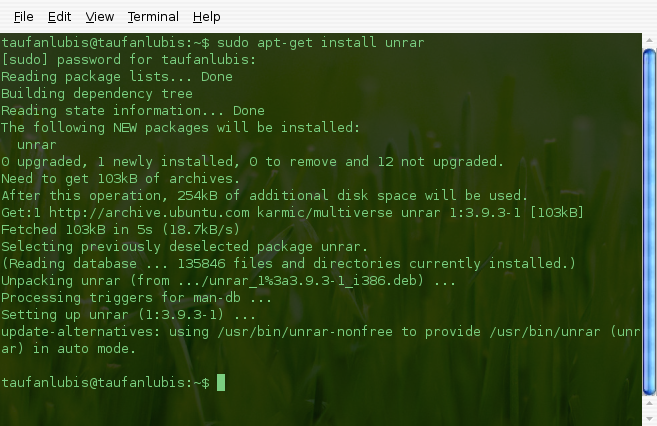 First, open Linux Terminal (Applications > Accessories > Terminal) and type $sudo apt-get install unrar. Scribus is an open source desktop publishing program available for Linux. Thanks to Scribus Team to make a very good program. Hope in the next version, it will has more advanced features. Unfortunetely in this version you can’t have built-in help program. You have to see at http://docs.scribus.net. Because NOT all people can get access to the internet all the time. Make sure you are connected to the internet. 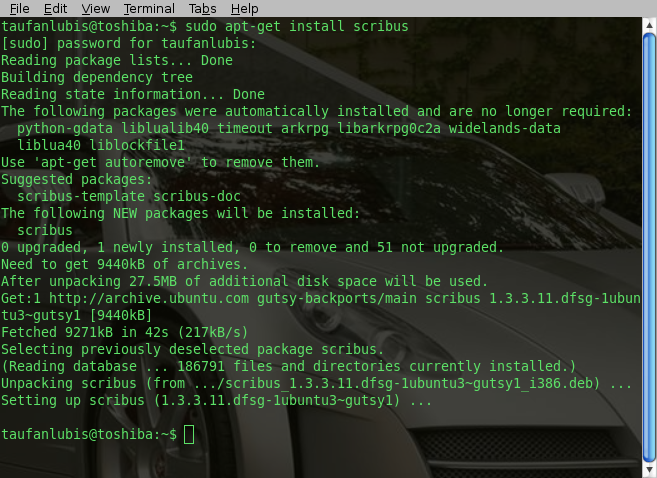 Open your Linux Terminal (Applications > Accessories > Terminal) then type ‘sudo apt-get install scribus‘. The installation will take few minutes, depends on your internet connection speed.